Must Try Menu Item: Wasabi Sushi Bar East’ Ahi Tower – Wichita By E.B. It’s been a couple months since we’ve done last a dish recommendation. 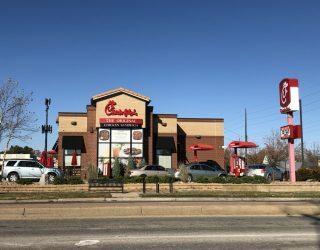 If you’re new to Wichita By E.B., we like to sometimes write a feature called “Must Try Menu Item” where we go over a particular menu item that you should try at least once. For this edition of the Must Try Menu Item, we head over to Wasabi Sushi Bar East. This location looks to be run separately than the other two Wasabi’s around town. I only say that because the west side Wasabi has a Facebook page, the downtown Wasabi has a webpage and the east side Wasabi has an Instagram. Anyways, my friend Shelley can be the one to thank for this edition of the Must Try Menu Item. We have similar taste in food and posted a beautiful picture of her lunch earlier this month. She said it was one of her favorite dishes in town and recommended that I try it. Well I tried it and loved it. 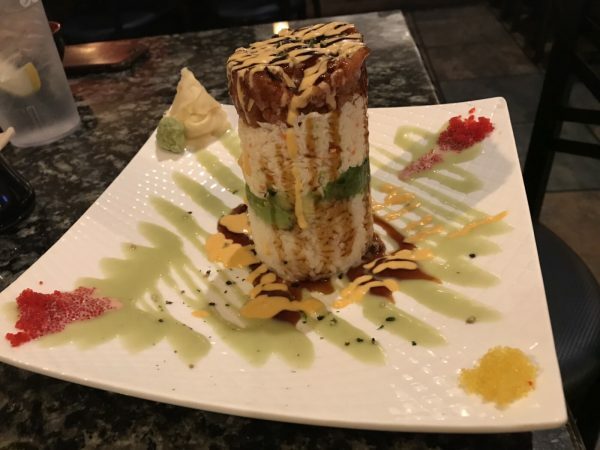 This dish features towered seasoned rice, avocado, crab and spicy tuna, sesame, various tobiko, sweet eel sauce, spicy mayo, and a wasabi mayo sauce finish. At $14.95, the Ahi Tower is a sight to behold. When the server was walking it over to our table, everybody in the restaurant kept doing a double take as if it was some superstar celebrity walking by them. While visually appealing, it had the flavor to match. I ended up laying the tower on its side to pick apart. It may not look like a big meal but there’s plenty of rice, avocado, crab and tuna to leave you satisfied. Next time you’re out eating sushi and want to try something a little different, give the Ahi Tower at Wasabi Sushi Bar East a try.